A man-eating shark is unleashed on an inland lake. Nothing makes sense in this film, including when Clint drives his daughter out into the middle of the lake knowing the shark lurks beneath them. The film might be a little escape from reality for an hour and a half but honestly there isn’t much more to it. Shark Lake is on DVD August 1st 2016. Shark Lake is director Jerry Dugan’s first feature length film, after having previously directed adverts. 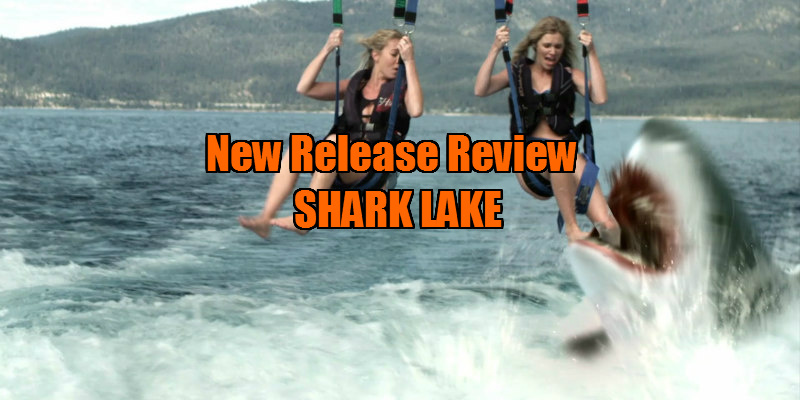 The film is about (with no surprise) a shark which occupies a lake and terrorises the town of Lake Tahoe. 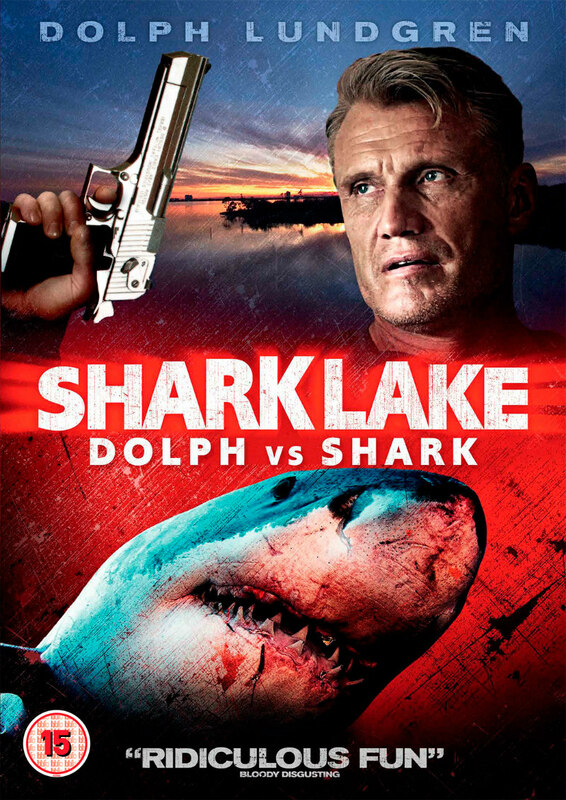 I thought you couldn’t get a more ridiculous shark related plot than a tornado full of sharks (Sharknado) but Shark Lake comes pretty close. How does a shark manage to get into a lake you ask? Well none other than Dolph Lundgren (Rocky IV) stars in the film, and his character Clint is an exotic animal keeper who releases the beast into the lake before fleeing from the police. Meredith (Sara Malakul Lane), the police officer who catches him and puts him in prison, feels sorry for the small child that Clint is leaving behind and strangely makes a life changing decision to adopt his daughter. Meredith, her love interest Peter (Michael Aaron Milligan), who also conveniently happens to be a marine biologist, and Clint join forces to try and stop the shark, and her babies, before things get out of hand. It's blatant that the plot is completely incomprehensible and ridiculous to start with. Biologist Peter does make some strong claims as to why the shark may be able to withstand the water in the lake, but I myself am no animal expert and don’t know if these are true. It's also quite ridiculous that Clint put the animal in the water before he went to prison and somehow the attacks are only occurring after he’s released; this again doesn’t really make sense, but I wasn’t really expecting anything else. It’s inevitable that a film about a shark is going to be compared to Jaws, but it really bares no comparison as far as plot is concerned. The film does make some attempts at making the story more interesting, with the dynamic relationships between the characters and Clint’s battle with an exotic animal dealer; unfortunately, these stories are pushed aside with nowhere to go. There are a few bloody scenes, but most of the killings are very discreet or off camera, because the film is low budget and so obviously the quality of the shark is not so realistic. Basically, nothing makes sense in this film; I don’t understand most of the characters' reasoning, including when Clint drives his daughter in his very small boat out into the middle of the lake knowing the shark lurks beneath them. The film might be a little escape from reality for an hour and a half but honestly there isn’t much more to it.